Welcome to my personal homepage and blog! I’m a senior economist at the Bank of Israel Research Department and the head of the Monetary Analysis Unit. In the past, I was a Central Bank Research Fellow at the Bank for International Settlements (BIS) and held a position at the research department of the Israeli Ministry of Finance. DISCLAIMER: This website and its content do not reflect the views of the Bank of Israel. Nadine Baudot-Trajtenberg, Itamar Caspi (2018). Measuring the importance of global factors in determining inflation in Israel. BIS Papers chapters,in: Bank for International Settlements (ed. ), Globalisation and deglobalisation. Itamar Caspi, Yuval Mazar, Noam Michelson, Shay Tsur (2018). Does Guilt Affect Performance? Evidence from Unjustified Penalty Calls. MPRA Paper No. 90113. 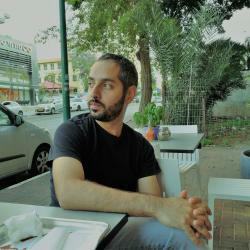 Itamar Caspi, Meital Graham (2018). Testing for Bubbles in Stock Markets with Irregular Dividend Distribution. In Finance Research Letters. Itamar Caspi, Amit Friedman, Sigal Ribon (2018). The Immediate Impact and Persistent Effect of FX Purchases on the Exchange Rate. Bank of Israel Working Papers 2018.04, Bank of Israel. Itamar Caspi, Nico Katzke, Rangan Gupta (2018). Date Stamping Historical Periods of Oil Price Explosivity: 1876-2014. In Energy Economics. Itamar Caspi (2017). Rtadf: Testing for Bubbles with EViews. In Journal of Statistical Software. Itamar Caspi (2016). Testing for a Housing Bubble at the National and Regional Level: The Case of Israel. In Empirical Economics. I am teaching the course 55750: Machine Learning for Economists at the Hebrew University of Jerusalem. Bank of Israel, P.O. Box 780, Jerusalem, Israel. 2019-01-03 - The chapter “Measuring the Importance of Global Factors in Determining Inflation in Israel”, co-authored with the Bank of Israel’s Deputy Governor, Dr. Nadine Baudot-Trajtenberg has been published by the BIS in a special volume titled “Globalization and Deglobalization”. 2018-11-19 - Peter C.B. Phillips, Shuping Shi and I have just released our new R package, psymonitor. You can find it on CRAN and on GitHub. 2018-10-05 - The Hebrew University’s Economics Department, Ariel Mansura (Bank of Israel) and I are collaborating on a new course this spring semester (2019): “Machine Learning for Economists”. Here is a link to the course’s GitHub repository, which is still under construction. 2018-10-01 - I gave a talk about “Introduction to Machine Learning for Economists” at the Bank for International Settelmentes. 2018-09-17 - I’ve presented my paper “The Immediate Impact and Persistent Effect of FX Purchases on the Exchange Rate”, co-authored with Sigal Ribon and Amit Friedman at the BIS Research Seminar. 2018-08-01 - I’ve started my 3-months Central Bank Research Fellowship at the Bank for International Settlements (BIS), which is located in Basel, Switzerland.